Please buy your tickets today for the m.a.d.woman Foundation raffle to help us provide care packs for kids in foster care and women and children fleeing domestic violence this Christmas. 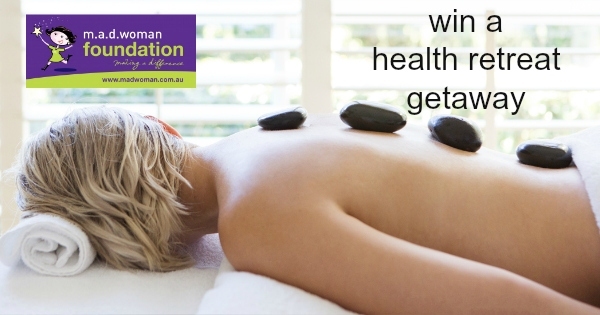 Tickets are $5 ($10 will fund one of our Care packs) and you could win a week at Eden Health Retreat worth $3950. There are also stunning flameless candles from House of Flameless (choose your own to suit your style) and two great make up hampers from NYX Professional Makeup. In the past 10 years m.a.d.woman projects have helped more than 350,000 Australians in need – without any funding. We need your help to more help people this year. Please also help spread the word. Thank you for helping us make a difference to some of our most vulnerable citizens!